Your carpal tunnel is a passage in your wrist that houses the median nerve. When this passageway becomes irritated or aggravated, it can put pressure on the nerve, which causes pain and can reduce your ability to use your wrist. If your pain is severe or long-lasting, you may need professional health care assistance. 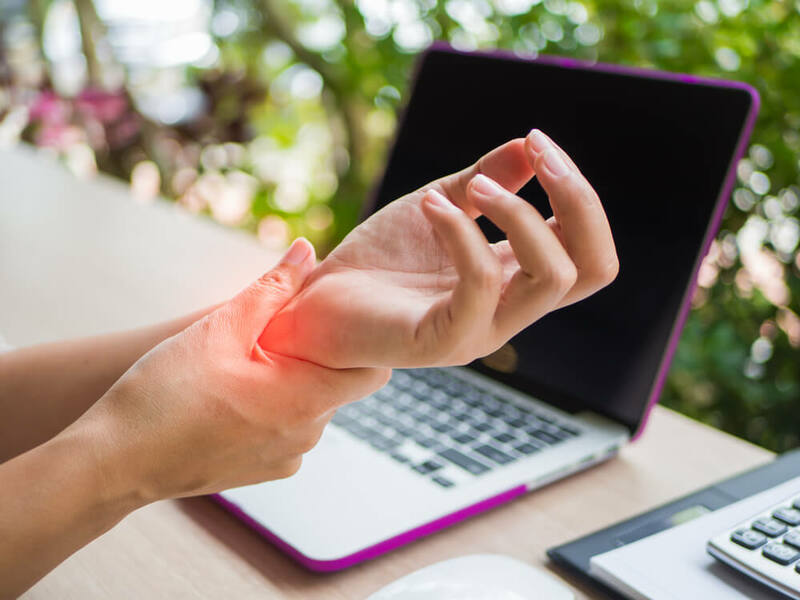 If the pain is tolerable, you should try out some of the tips below to treat carpal tunnel syndrome at home. Rest — Take a break from repetitive tasks that may be causing your carpal tunnel syndrome. If you type on a computer all day or spend a long time driving, take a break every hour to rest and stretch your hands and wrists. Ice and heat — Icing your wrist can help reduce inflammation that may be causing pain. If the pain sticks around for a couple of days, apply some heat as well for comfort. Wear a splint — A wrist splint can help keep your hand and wrist properly aligned to remove pressure off the median nerve. You may want to wear splints while typing, driving or operating heavy equipment. Some people wear splints while sleeping too because it’s easy to sleep with the wrist in awkward positions that cause pain. Stretch — Stretching your hand and wrist can help reduce pressure off the median nerve. You can do many of these stretches almost anywhere and at any time. For example, you can close your hand into a fist and slowly extend your fingers until they’re straightened out. You can always talk to your doctor or a physical therapist about stretches that are right for you. Pain medication — Over-the-counter pain medication and anti-inflammatory medication can help reduce pain and inflammation while your wrist recovers. Topical ointments — Some creams and ointments can help soothe pain in the wrist. In cases of severe carpal tunnel syndrome, the treatments above might help a little bit but won’t fully treat your condition. At Advent Physical Therapy, our physical therapists are trained in techniques that can help reduce carpal tunnel pain and prevent it from developing again in the future. Contact us today if you’re suffering from carpal tunnel syndrome and are ready to begin your treatment.